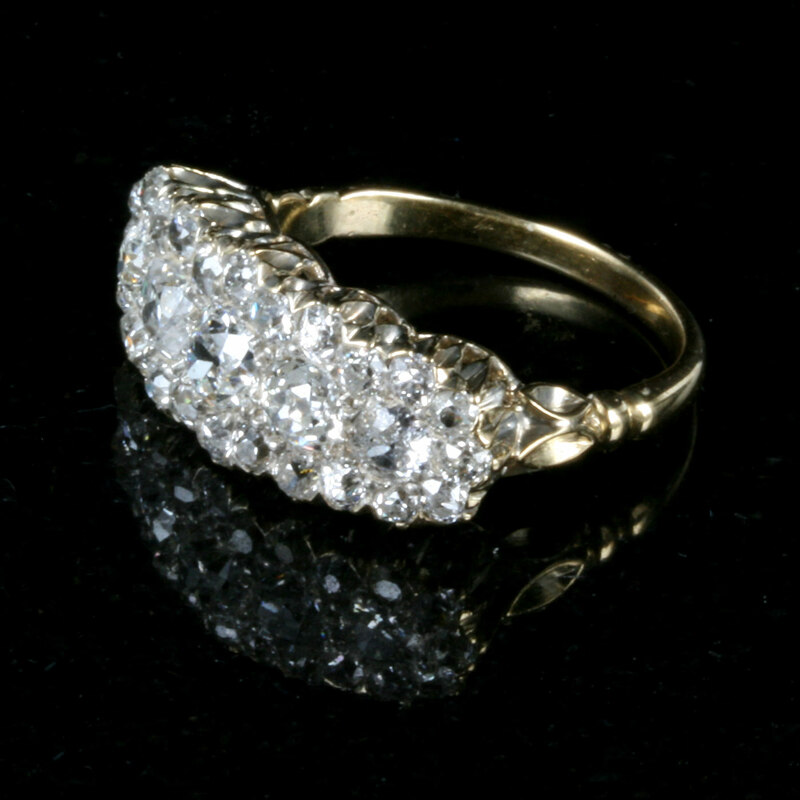 Antique diamond ring with 29 diamonds. Product code: 1718 Categories: Sold Items, Sold Rings. 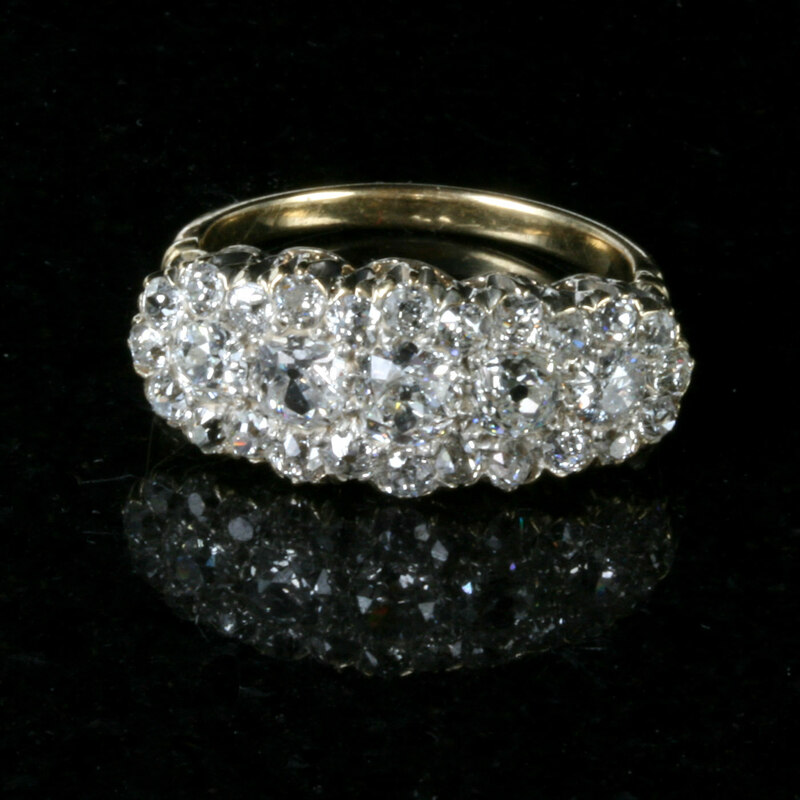 This antique diamond ring from the Victorian era of the late 1800’s is truly magnificent. Hand made in 18ct yellow gold, the ring is set with 5 main diamonds and surrounded by a further 24 diamonds this giving this diamond ring some serious sparkle. From left to right, this diamond ring measures an impressive 2.3cm and top to bottom 1cm and spreads beautifully on the finger. The 5 main diamonds total 1.55 carats and the further 24 diamonds total 0.72 carats resulting in an impressive total diamond weight of 2.27 carats and this antique diamond ring certainly does sparkle day or night. Antique diamond rings often make a statement, and this antique diamond ring will stand out from all the others.